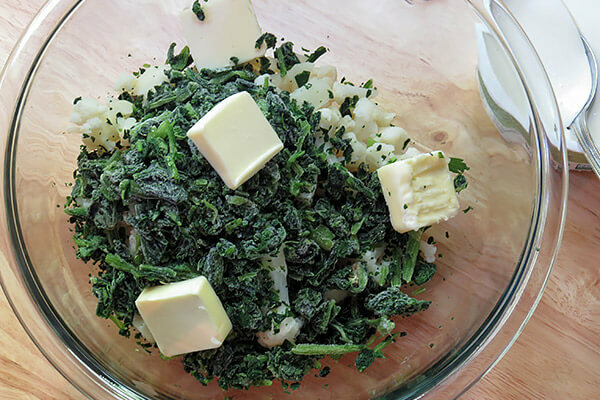 Colcannon is a traditional Irish dish made with mashed potatoes and kale. In our version we leave the potatoes behind and sub cauliflower as the base of the dish. Next we add in spinach for a beautiful green hue and some added nutrition. The dish is finished with cream, avocado, and plenty of sour cream. Finally, some added butter gives it a traditional flavor that may even fool an Irishman! Serve Colcannon as the Irish do with ham or bacon. You can make it a regular addition to your meal rotation with any meats you like. 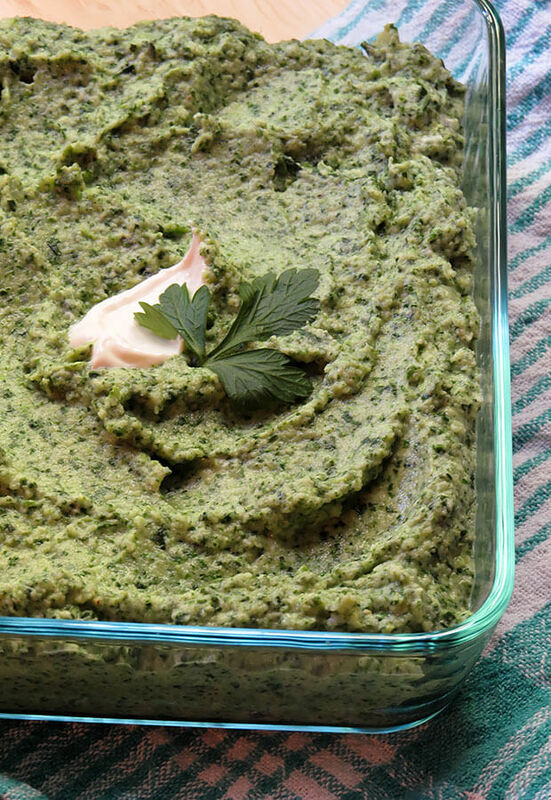 It comes together so quickly, uses convenience ingredients like frozen cauliflower and spinach, and really does hit the spot if you crave a spoonful of creamy mashed potatoes. 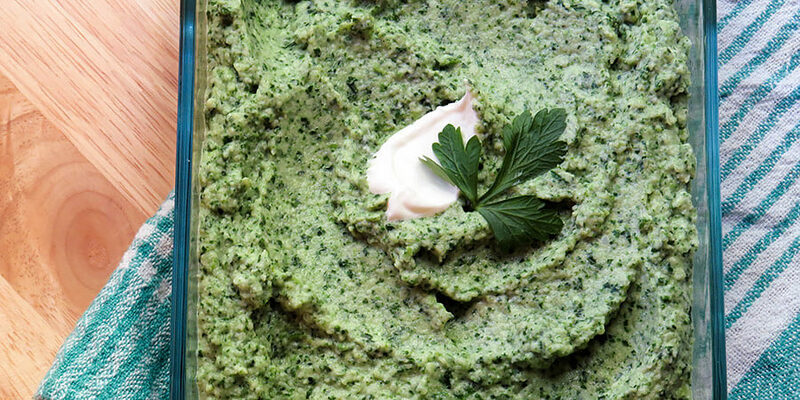 Substitute kale for the spinach, if you prefer, and feel free to add an extra dollop of full fat sour cream to the top when serving. 1. 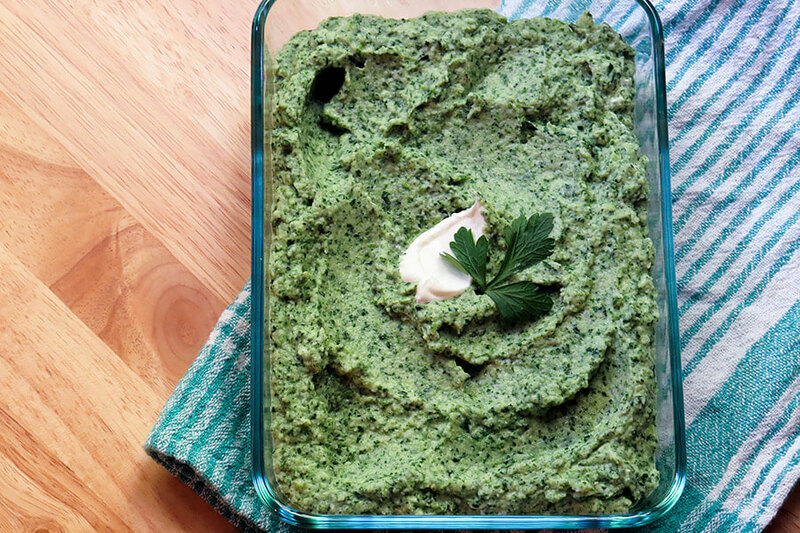 Combine cauliflower and spinach in a microwave safe bowl or a saucepan and cook until cauliflower is very tender, about 15 minutes. 2. Add cream, avocado, butter, sour cream and seasonings and blend with an immersion blender (or place carefully in your food processor and blend) until smooth. 3. Top with sour cream if desired and serve immediately. This makes a total of 6 servings Irish Colcannon. Each serving comes out to be 179.33 Calories, 17.01g Fats, 3.32g Net Carbs, and 3.02g Protein. Combine cauliflower and spinach in a microwave safe bowl or a saucepan and cook until cauliflower is very tender, about 15 minutes. 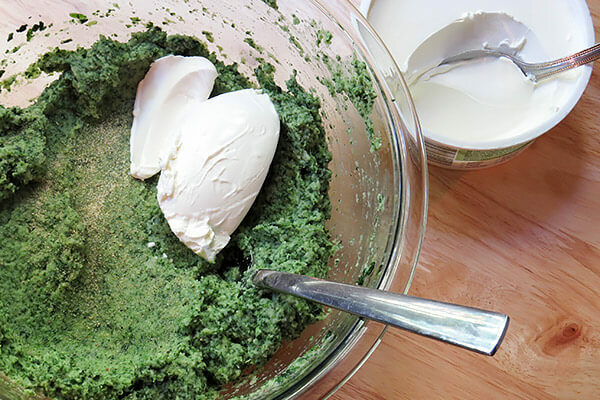 Add cream, avocado, butter, sour cream and seasonings and blend with an immersion blender (or place carefully in your food processor and blend) until smooth. Top with sour cream if desired and serve immediately.